Sales of passenger cars like the Chevrolet Cruze and Buick LaCrosse have slowed and as a result, GM announced a major transformation earlier this week. Five factories in North America will be idled and slow-selling products have been axed in order to free up capital to invest in autonomous and EV programs, but luckily none of that is expected to affect GM’s motorsports programs. “Our motorsports programs and team relationships are not impacted by the GM transformation announcement from earlier this week,” a Chevrolet spokesperson told Forbes earlier this week. Chevy NASCAR fans across the country were worried that Chevy might be looking to claw back some of the money it spends on racing considering GM executives are turning over all the couch cushions looking for spare change. Attendance at races has fallen, television ratings continue to decline, and NASCAR’s popularity has drastically tapered off in the last decade as series organizers make change after change to the rulebook in an effort to better position stock car racing to compete with the NFL and MLB. Watching tube-frame spec cars turn hundreds of laps around boring oval tracks not named Daytona, Tallageda, or Bristol, has become much less attractive to viewers and advertisers alike. NASCAR has long touted the mantra of “Win on Sunday, sell on Monday” but the connection no longer exists, and both Chevy NASCAR and Ford NASCAR programs have transitioned from using regular cars like the Impala and the Fusion to using more exciting sportscars like the 2019 Camaro and Mustang GT. The Chevy NASCAR program has long dominated the Cup division for the better part of a decade, with Jimmie Johnson winning seven titles on his own, but the company has slipped from contention over the last four years, and the new Camaro introduced last year was never a legitimate threat to the Fords or Toyotas. Look for the restyled Camaro and Silverado to make their first appearances on track this coming February in Daytona. At the rate it is going GM is going to be the only one with a reason to be in NASCAR. 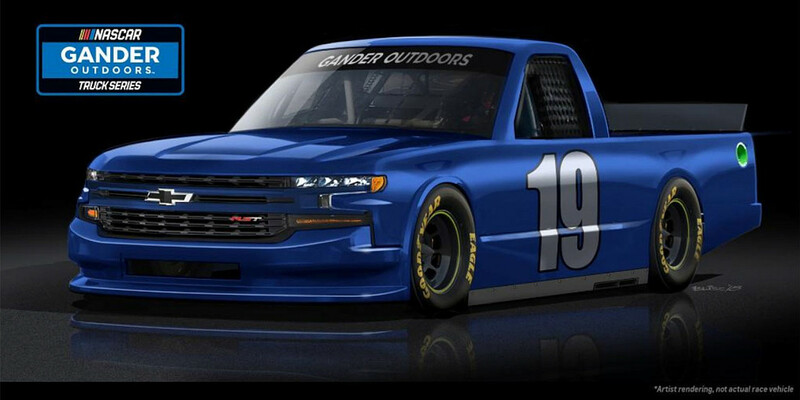 In the truck series and other series moving to a spec GM based engine in the coming years they are the only one with an incentive to stay. Toyota will not be happy to swap out to a Ilmor GM based engine like they already have in the truck and ARCA series. The question will NASCAR remain viable in the coming years. The GM cuts are not because they are going broke it is to prepare them for the future. Hey scott3, who in the clown car of a management team at GM is qualified to “prepare them for the future” ? What have they been doing for the past 5 years under Barra ?? The only clowns I see are the folks like you who have little grasp of the full picture. Yeah, scott3, why don’t you tell us exactly what the “full picture” is? Brian, the full picture was given this past summer when they stated that they were gong to focus on more SUVs and 4 door trucks for future product after 2019. I understand your panic but you should try to remember the full picture. Cuz if Amaricans aren’t in a SUV/Truck, they’re in a silver import.